Thomas's revelation was the catalyst for the Gurrir Gurrir, a ceremony that recounted historic and contemporary events and associated sites throughout the East Kimberley. During public performances, dancers carried painted boards on their shoulders to illustrate the narrative. Today, the artists of Warmun still refer to their paintings on canvas as boards. 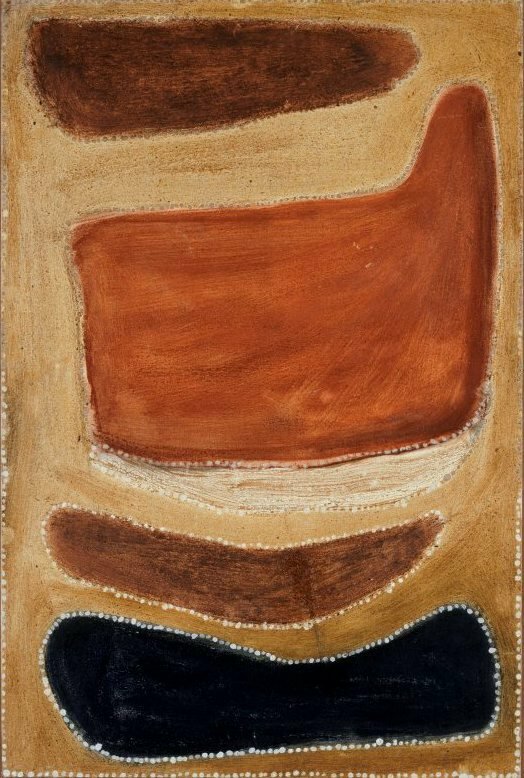 Like Thomas and his pioneering fellow artists, the late Paddy Jaminji, George Mung Mung and Queenie McKenzie, contemporary Gija painters use locally mined ochres.